Investors or handy homebuyers!!!! 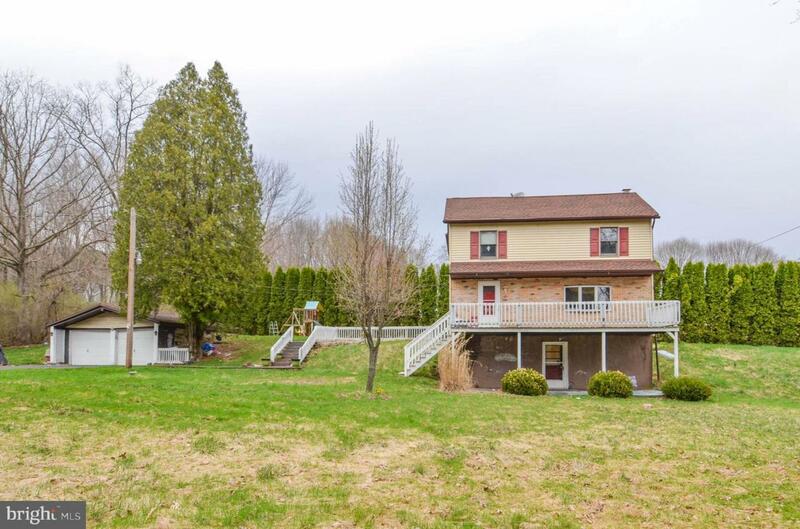 3 bedroom detached home nestled on over half an acre in rural countryside community of Barnesville. Features include a 2 car detached garage, country views and peaceful stream running along the property. Inside, a spacious living room and eat-in kitchen, den/foyer and full bath on the main level. Huge master with walk in closet and vaulted ceiling, and 2 additional bedrooms on the second level. The attic offers 2 bonus rooms that can be used for storage or finish for additional living space. Walk out lower level includes laundry hook up and plenty of storage. Outside, relax on the deck or patio while listening the stream flowing. Prime location! Easy commute to I-81, and within 5 minutes of 2 State parks with lakes, State Game Lands and golf course. Great potential!! With some TLC this is a perfect home to make your own!